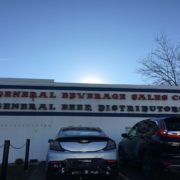 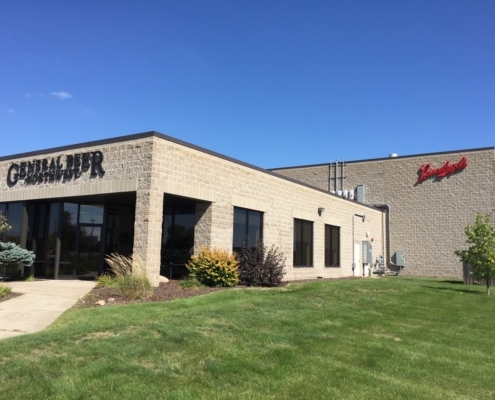 General Beverage Companies (GB) is one of the largest wholesale distributors of wine, distilled spirits, beer and non-alcoholic beverages in Wisconsin. 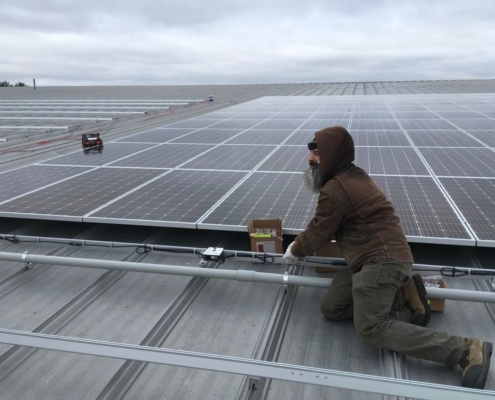 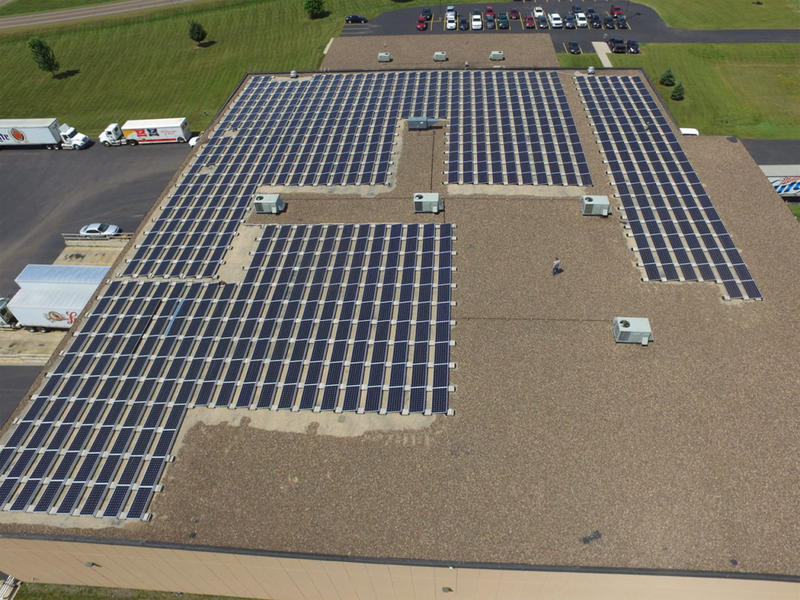 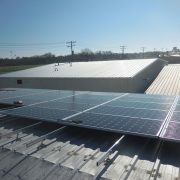 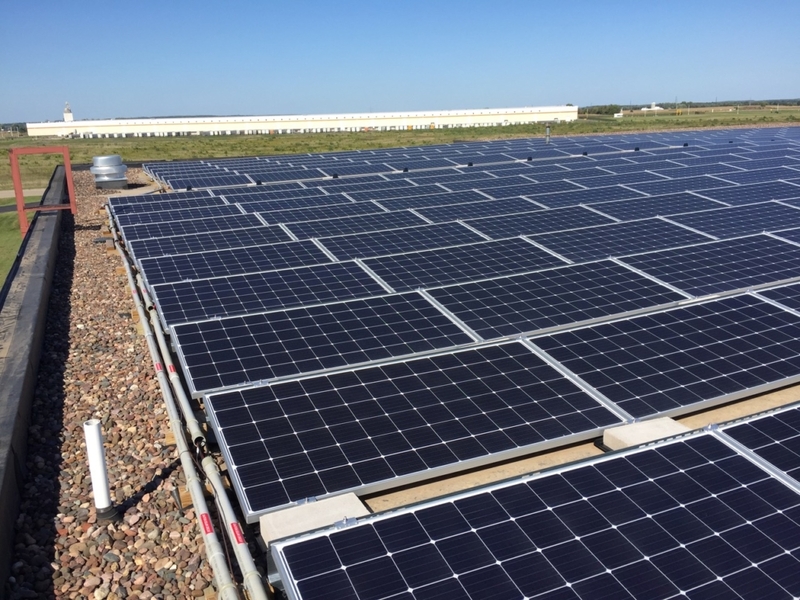 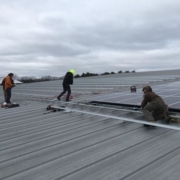 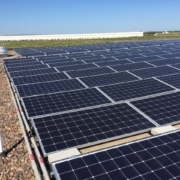 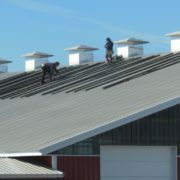 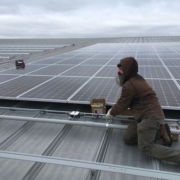 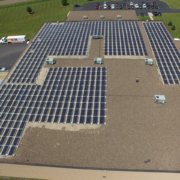 Located in an industrial park on the north side of Chippewa Falls, this is the second GB refrigerated distribution center to have solar PV installed by member installer Midwest Solar Power (Madison, WI), demonstrating that the company has made more than a token commitment to sustainability. 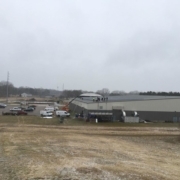 The Oregon Ice Arena is a non-profit 501(c)(3) facility in Oregon, WI. 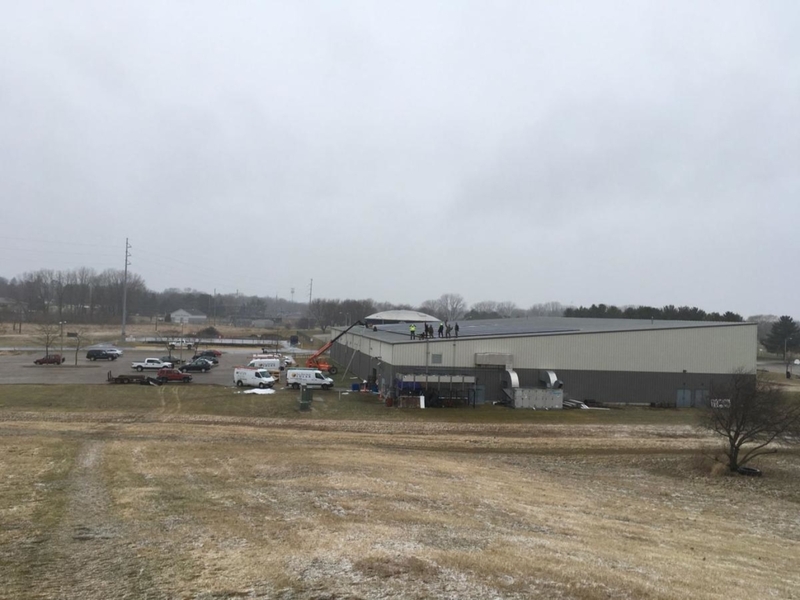 with the mission of providing the best ice skating experience possible by maintaining a clean and safe environment for all ages. 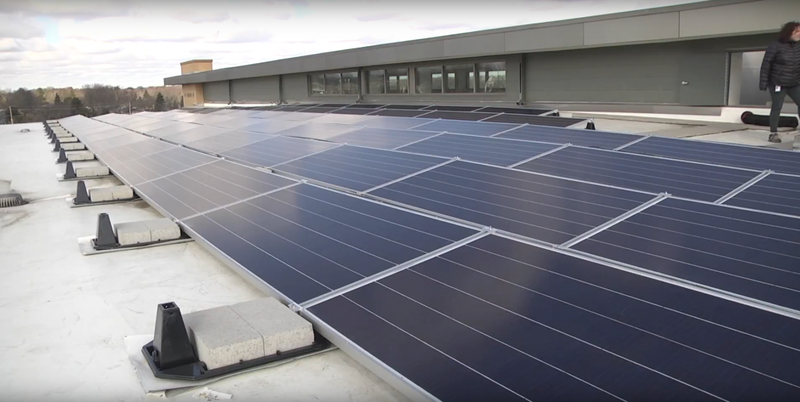 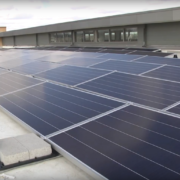 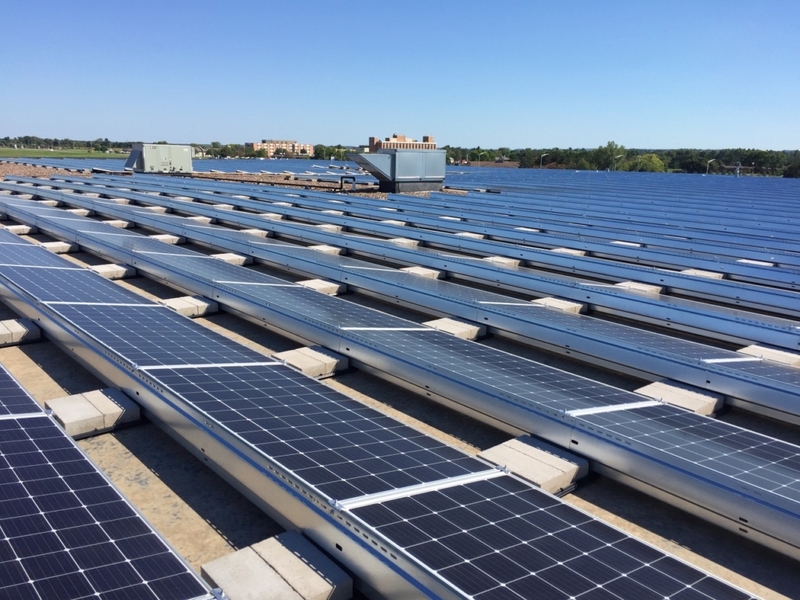 This project’s solar array takes up over 12,500 square-feet of south-facing roof, which saves dramatically on cooling costs during peak demand. 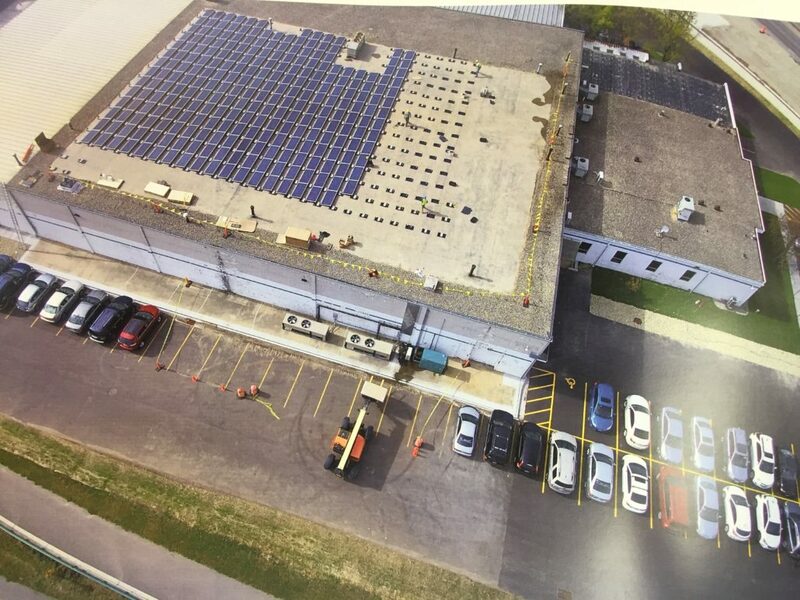 In fact, the project will generate about 25% of the ice arena’s electricity use from 560 flush mounted solar panels. 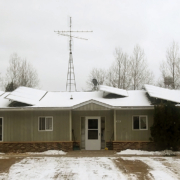 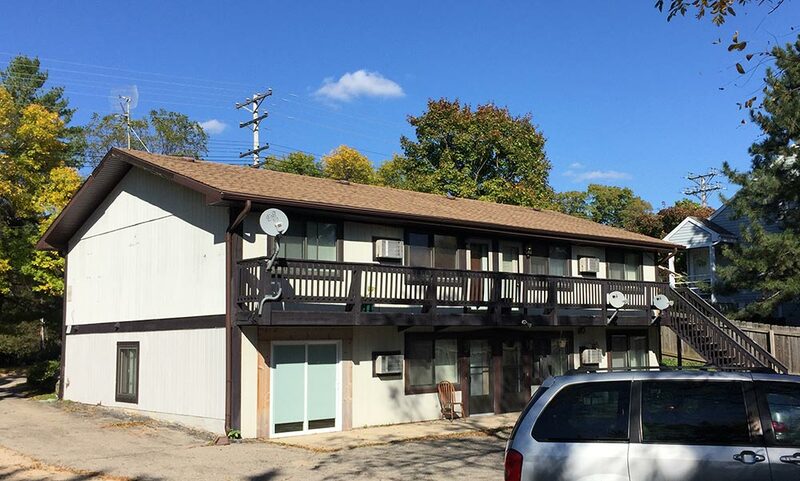 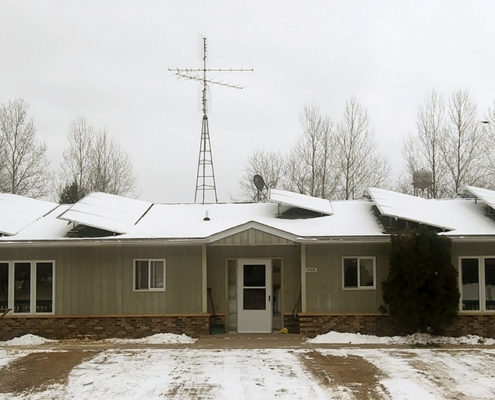 Since the early 1970s, Sawyer County Housing Authority (SCHA), located in northwest Wisconsin, has had a mission of providing safe, affordable housing for families with low and moderate incomes. 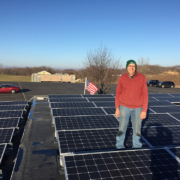 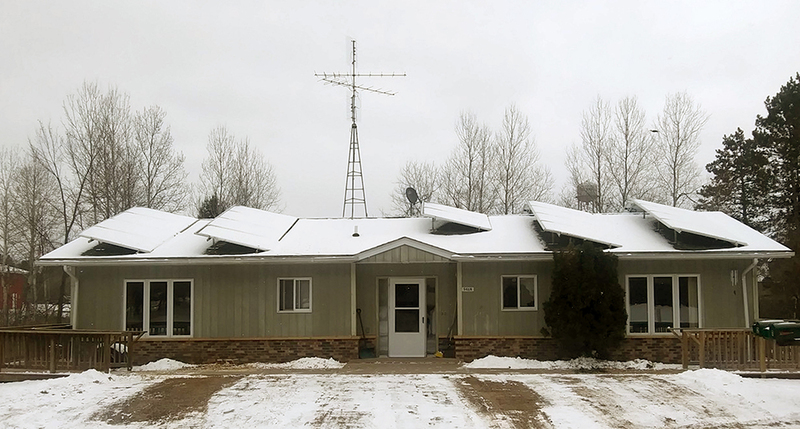 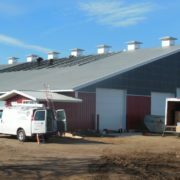 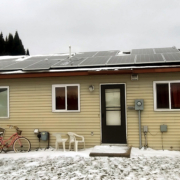 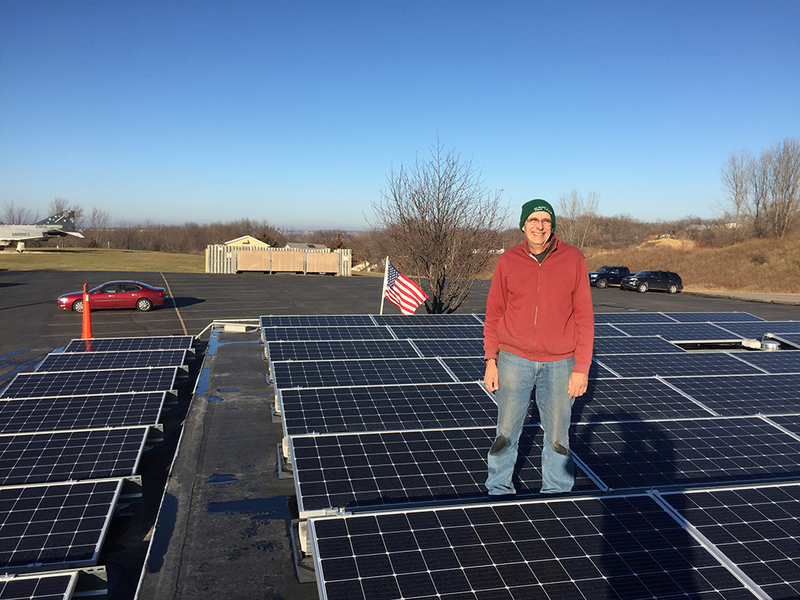 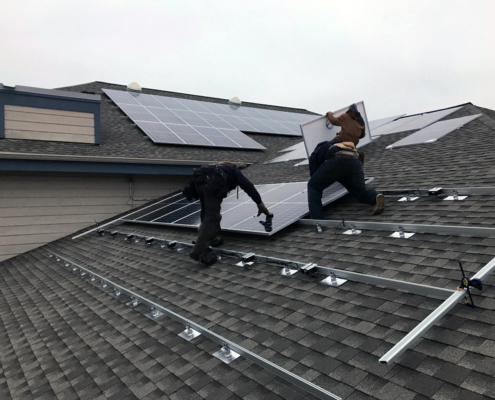 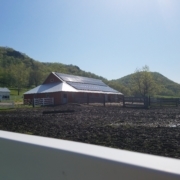 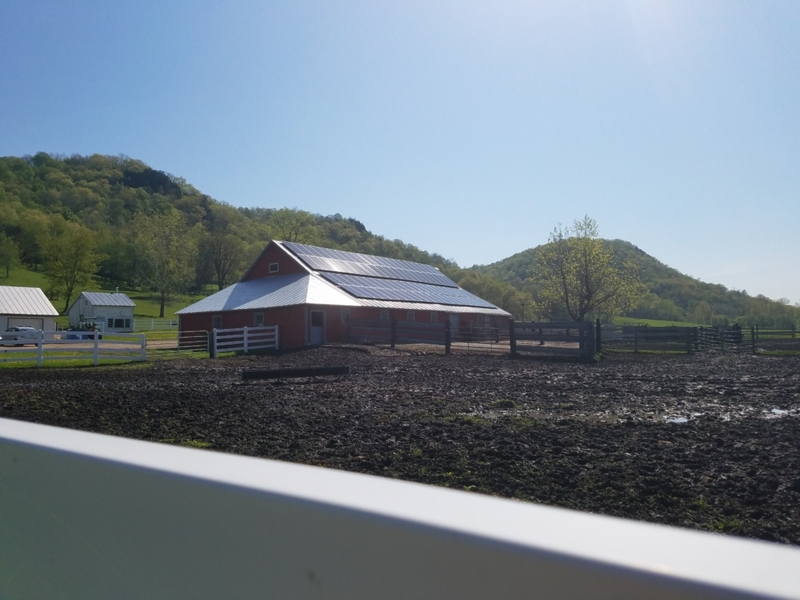 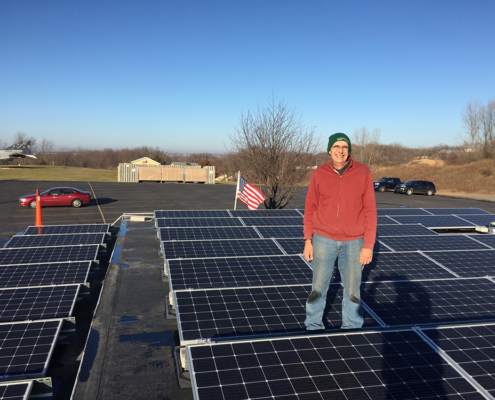 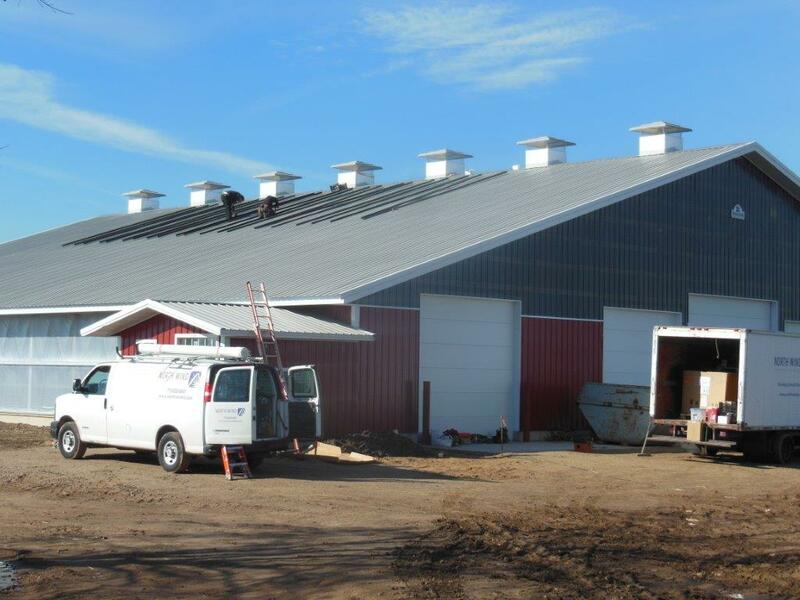 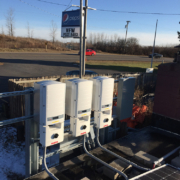 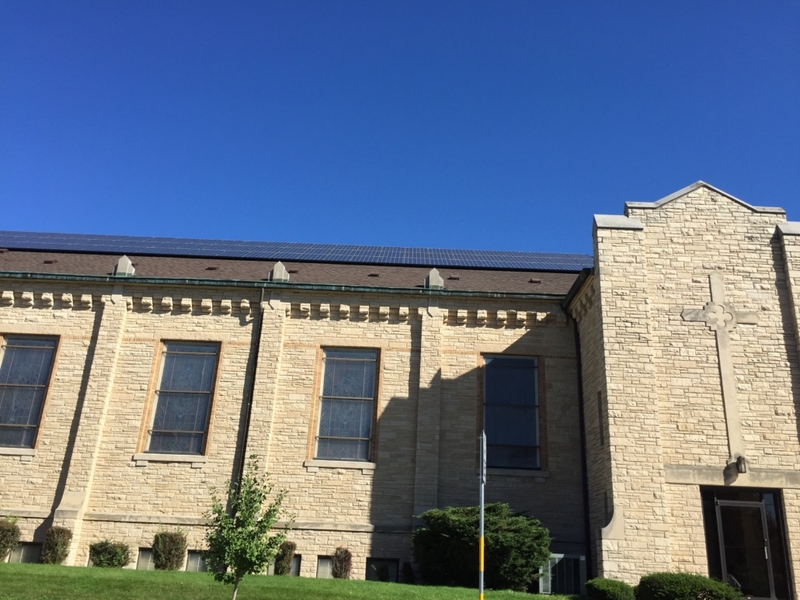 Legacy Solar Co-op partnered with Carlson Electric to install solar arrays on 6 separate buildings, including 52 families in the Hayward, WI area. 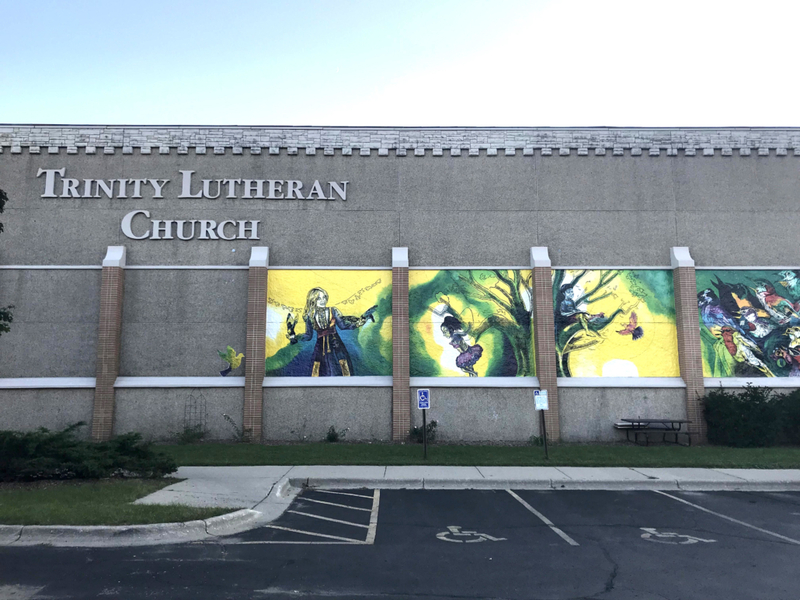 Founded in 1974, the Literacy Network teaches reading, writing, communication and computer skills to approximately 1,000 low-income Dane County adults each year (90% are people of color; 67% are women). 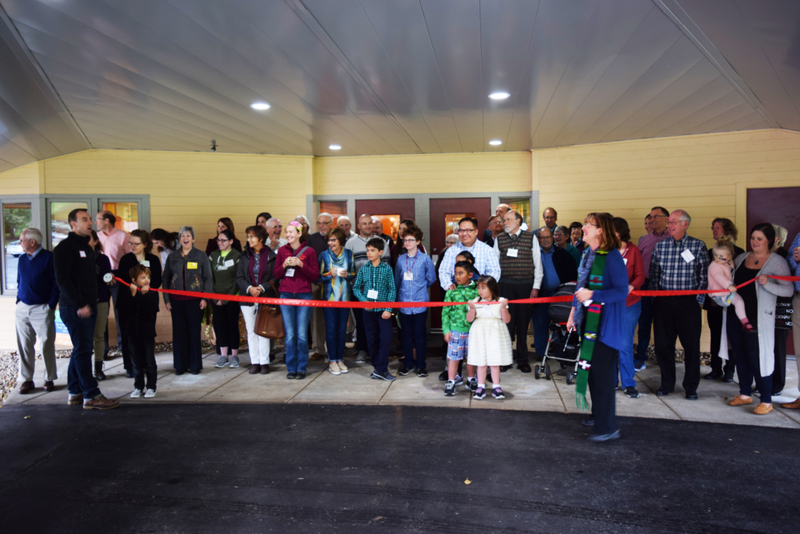 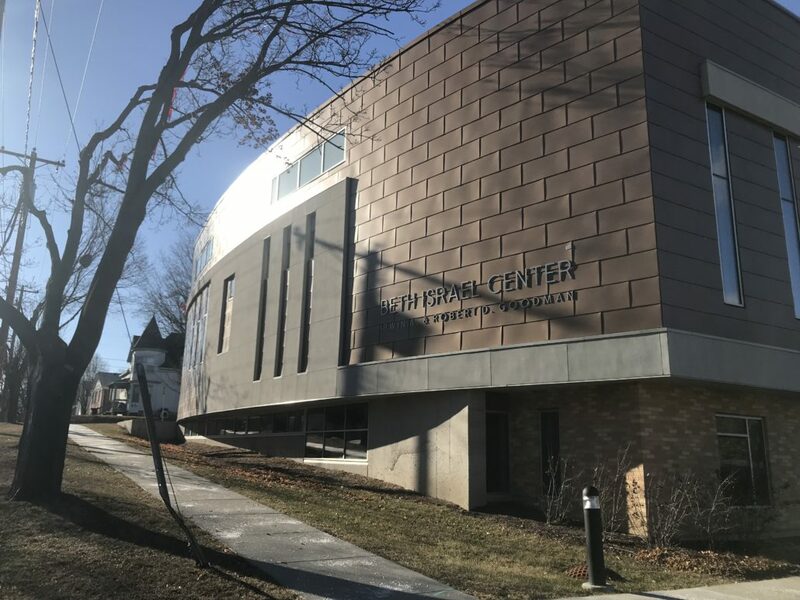 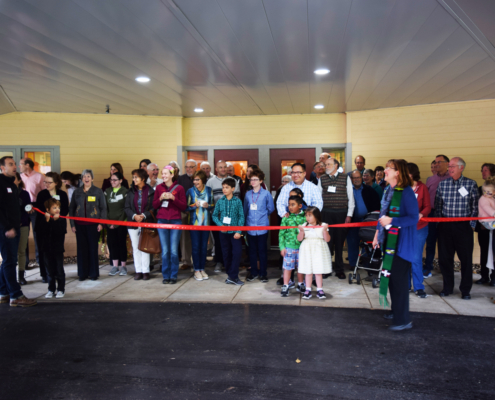 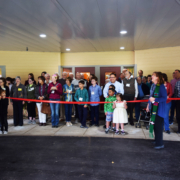 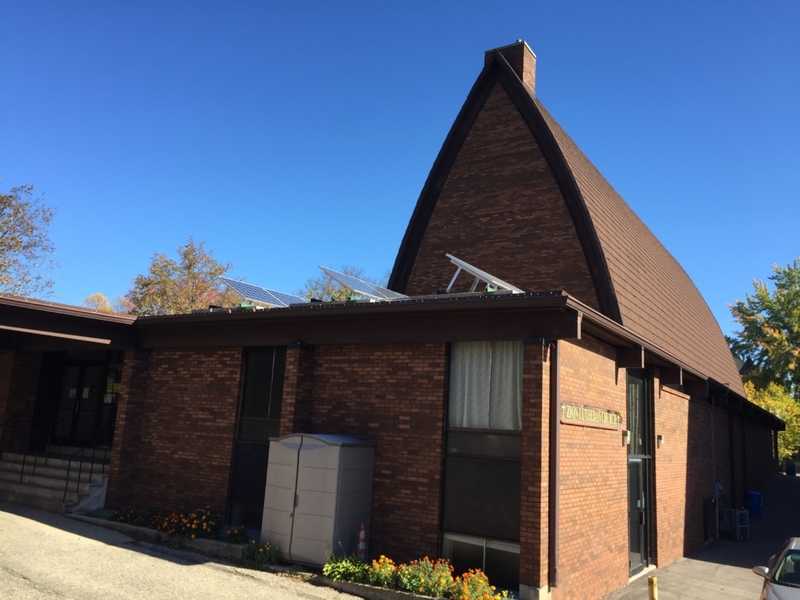 In fall 2016, after renting for more than 40 years, the Literacy Network of Dane County purchased and renovated the building at 701 Dane Street, with nearly four times more space than their previous location. 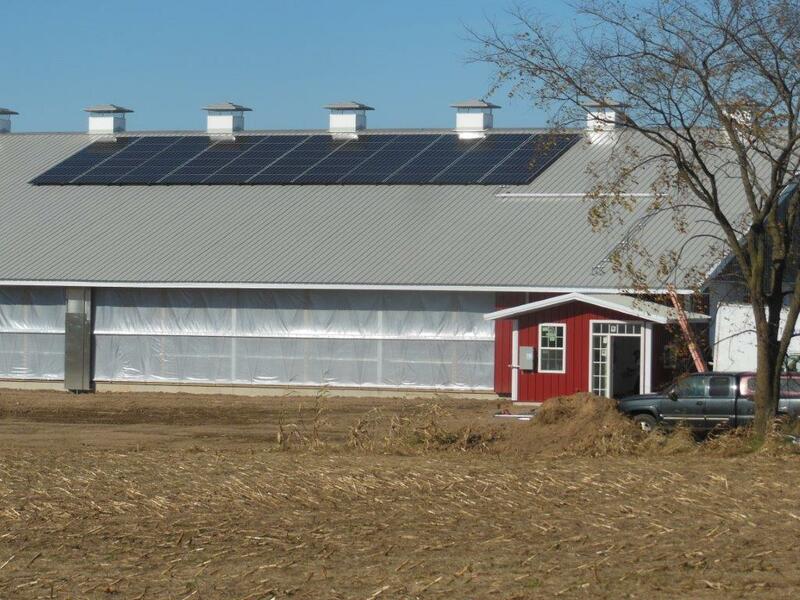 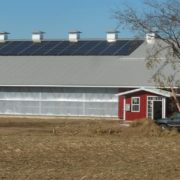 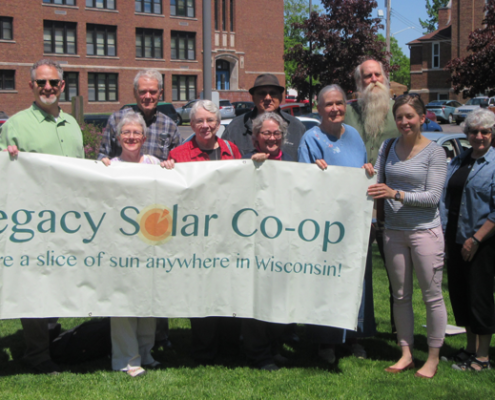 Thanks in part to a Solar for Good grant and a loan from Legacy Solar Co-op, solar power was also in their future. 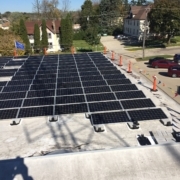 The City of Fitchburg is committed to renewable energy, having installed solar panels on the roofs of their buildings starting in 2009. 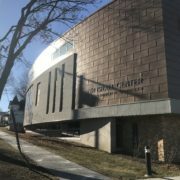 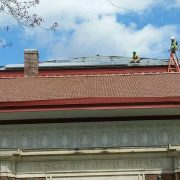 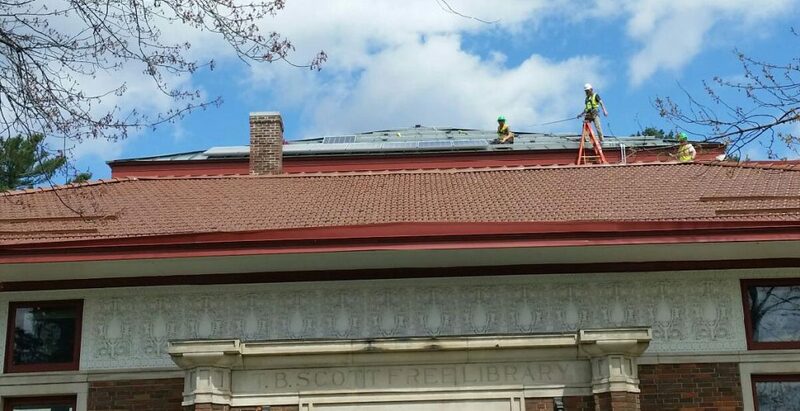 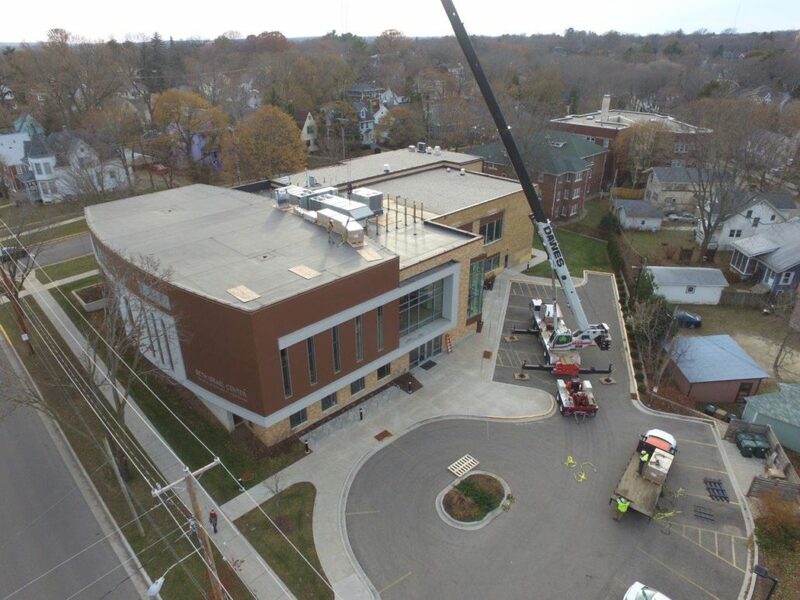 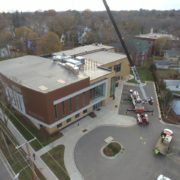 LSC provided site assessments, City staff support, financial cost and benefit projections, RFP support, and public meeting testimony for the solar project that led to adding almost 1,000 panels (362 kW) to the West Fire Station, City Hall, Public Works Maintenance Facility and the Fitchburg Public Library. 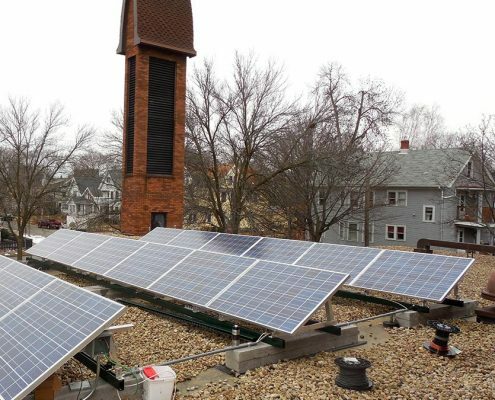 The City of Fitchburg is working toward its goal, by 2025, to generate 25% of their power from renewables. 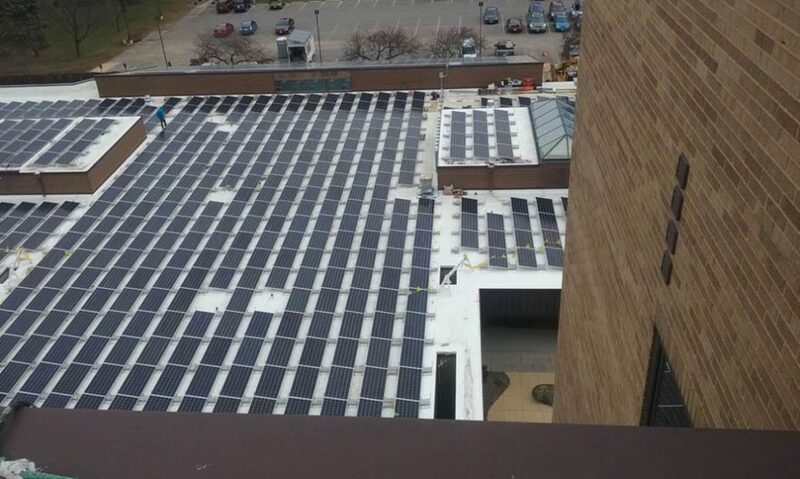 This helps them gain 10% toward that goal. 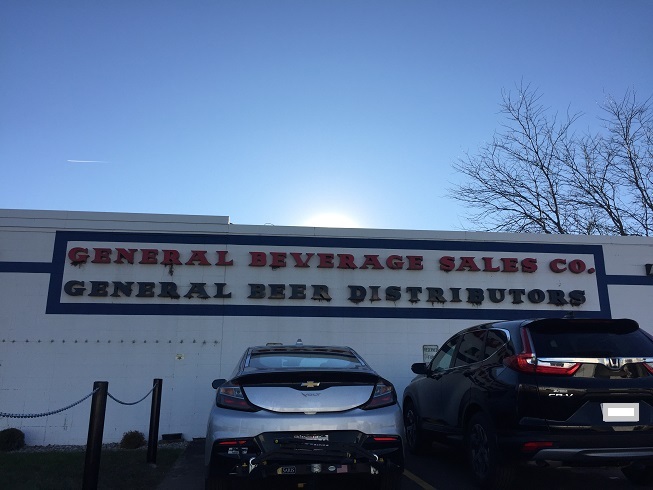 General Beverage Companies (GB) is one of the largest wholesale distributors of wine, distilled spirits, beer and non-alcoholic beverages in Wisconsin. 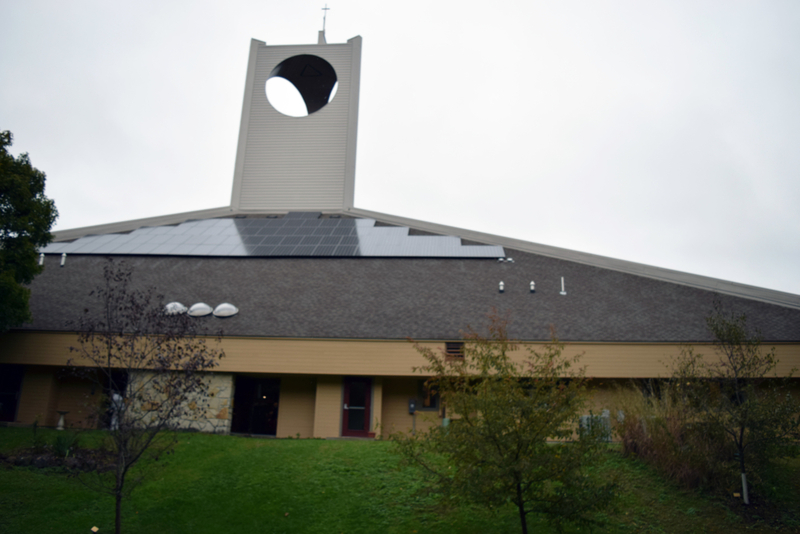 The School Sisters of St. Francis of St. Joseph Convent is an international community of Catholic sisters who unite with others to build a just and peaceful world. 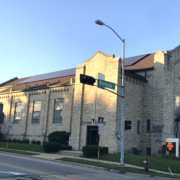 Founded in 1874, the organization has more than 1,000 sisters, associates, staff, donors and volunteers actively working to address the needs of those who are poor and marginalized by society. 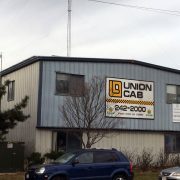 Their sites are located in the United States, Europe, Latin America and India. 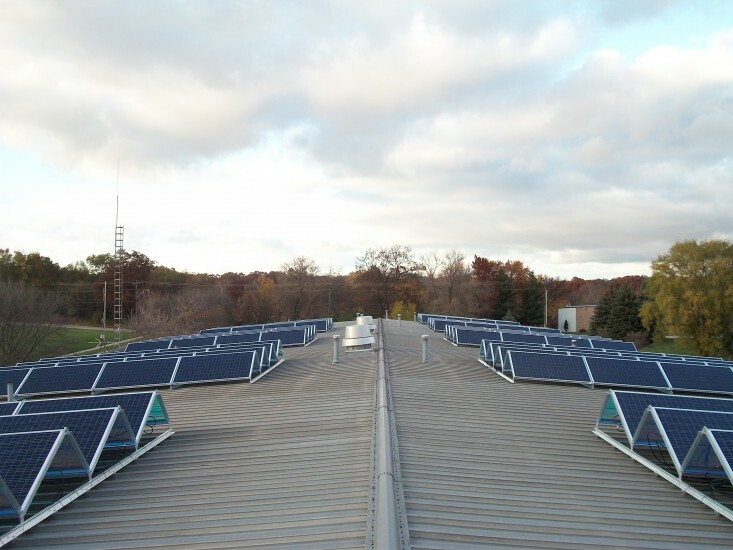 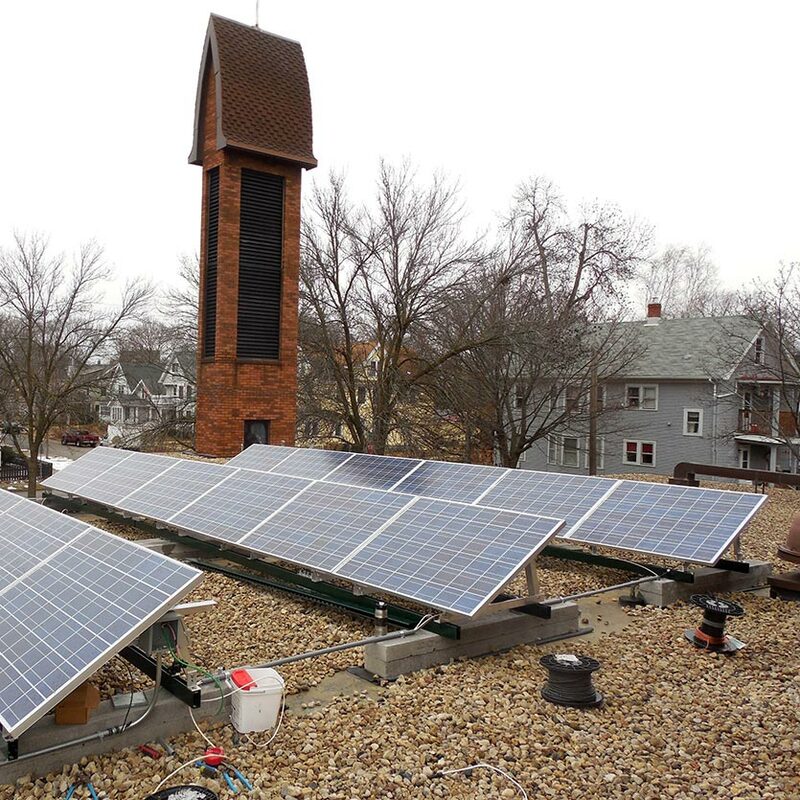 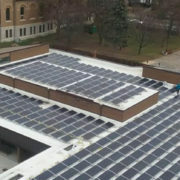 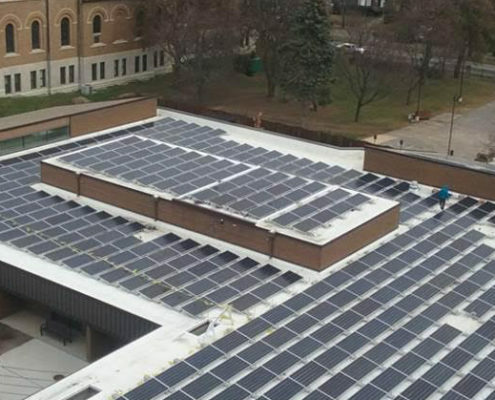 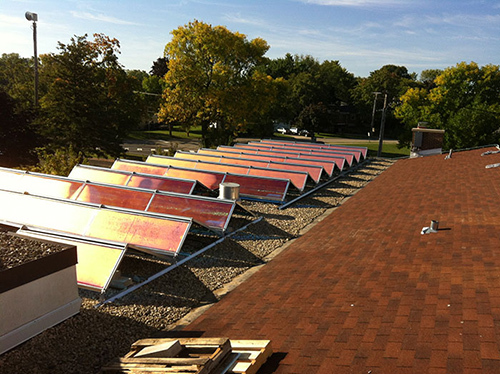 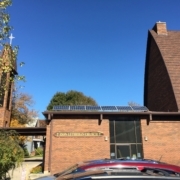 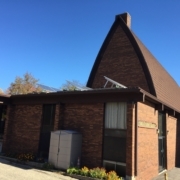 School Sisters of St Francis in Milwaukee is one of nine sponsored or co-sponsored sites in the U.S.
LSC Member TB Scott Free Library’s staff and board were interested in solar installation to reduce energy bills. 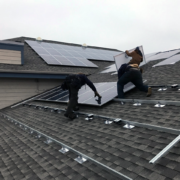 They also wanted to provide an educational opportunity for the community to learn about how solar power works and the benefits that it provides. 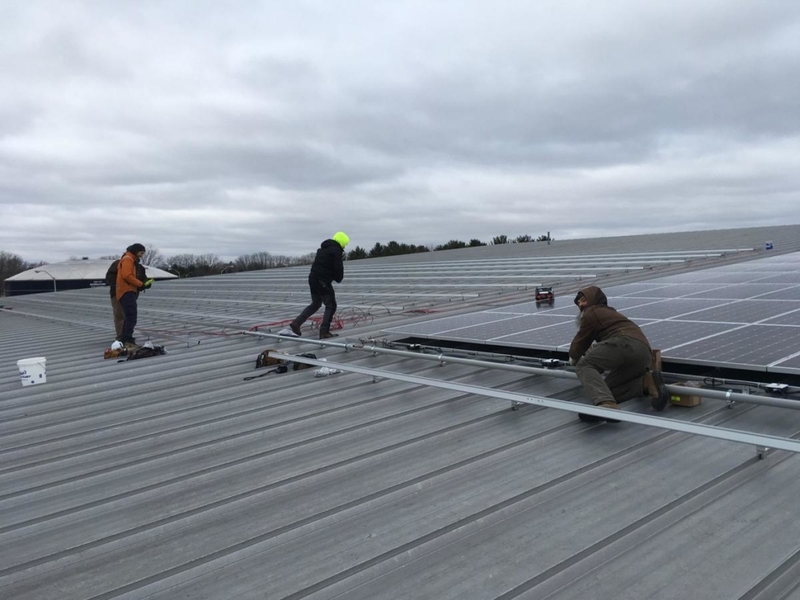 This 28.63 kW of solar will provide over 34,000 kilowatt-hours of electricity in the first year, and over 829,000 kWhs over a 25-year horizon. 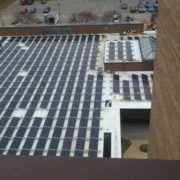 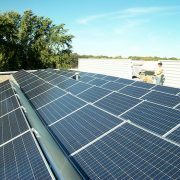 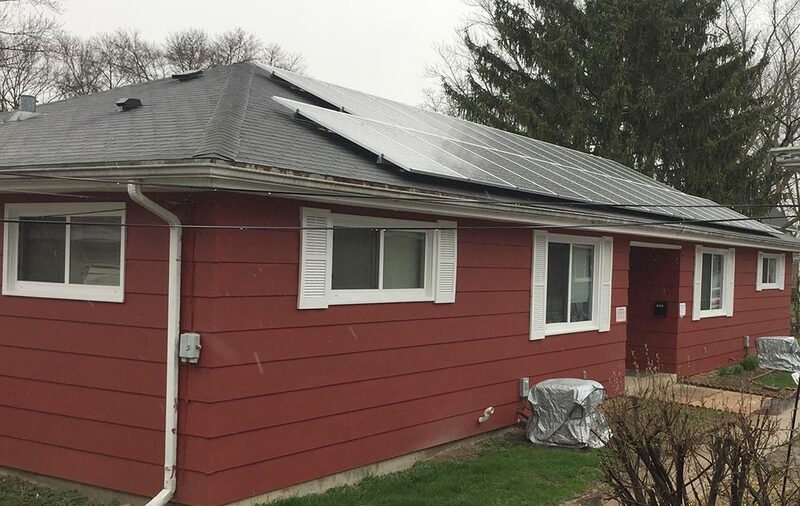 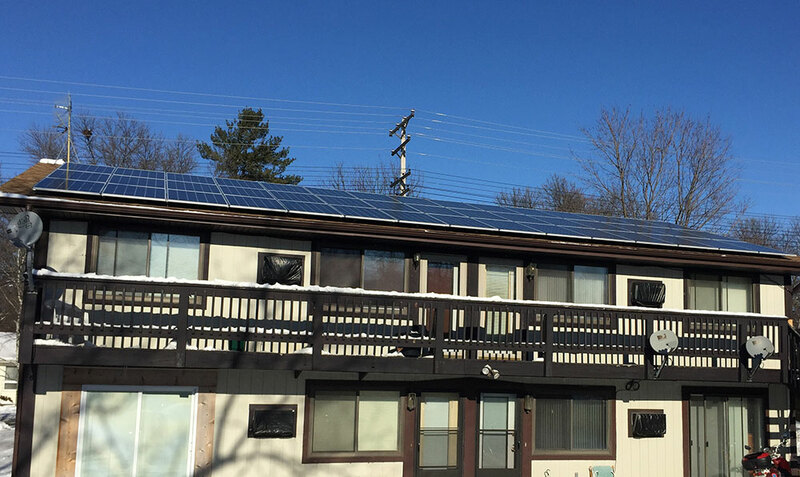 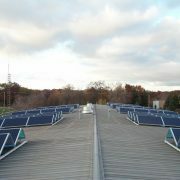 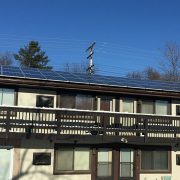 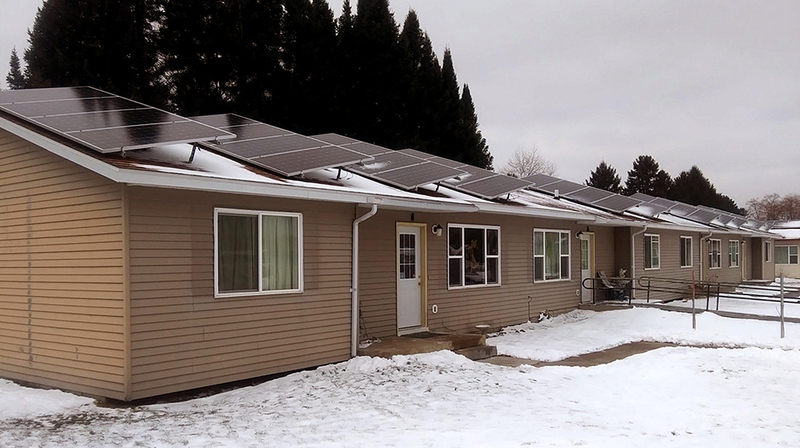 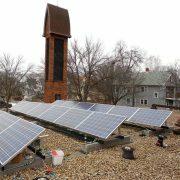 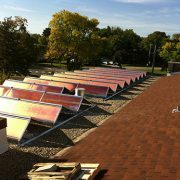 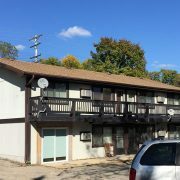 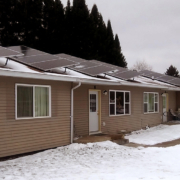 Legacy Solar Co-op provided solar on 2 buildings that LSC Member Housing Initiatives of Madison owns and maintains. 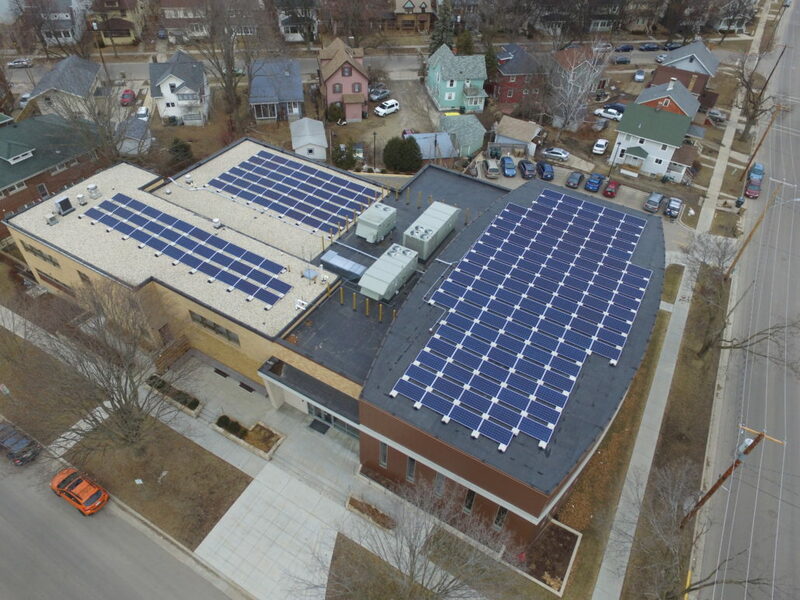 Our tax sponsor for this project is a long-time advocate for this and other organizations in Dane County. 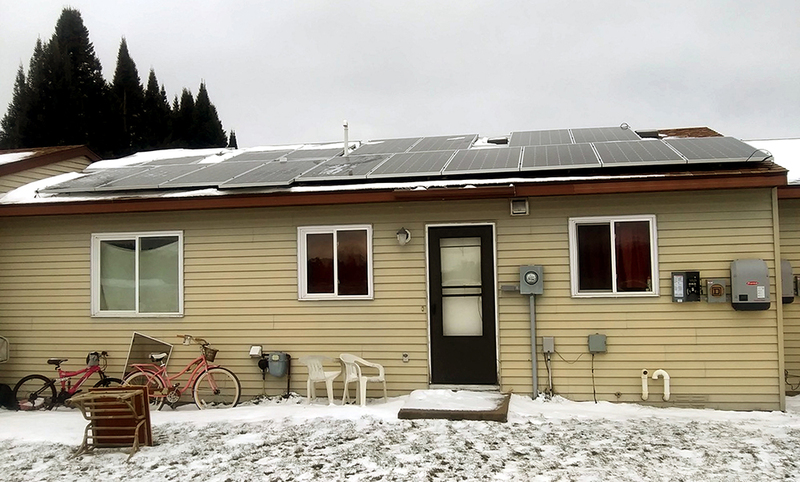 Together, we helped Housing Initiatives achieve lower energy bills by helping them generate their own electricity behind-the-meter, saving them about 40% on their power bills. 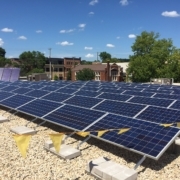 LSC helped Willy Street Grocery Co-op add 20 kilowatts of solar to the roof of their east side store (on Willy Street), as well as 214 LED lamps to replace the fluorescents, which operate at 15 hours a day. 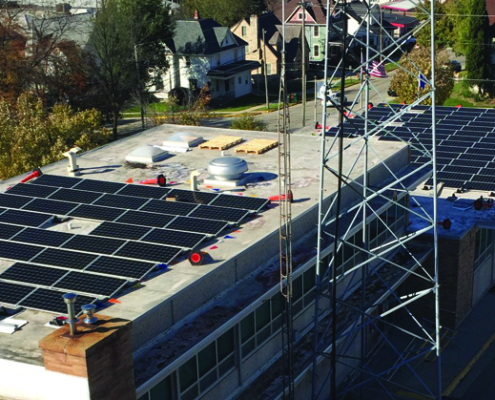 Between the LED retro-fits and the solar, Willy Street saves over 40,000 kilowatt-hours per year in MGE-supplied power. 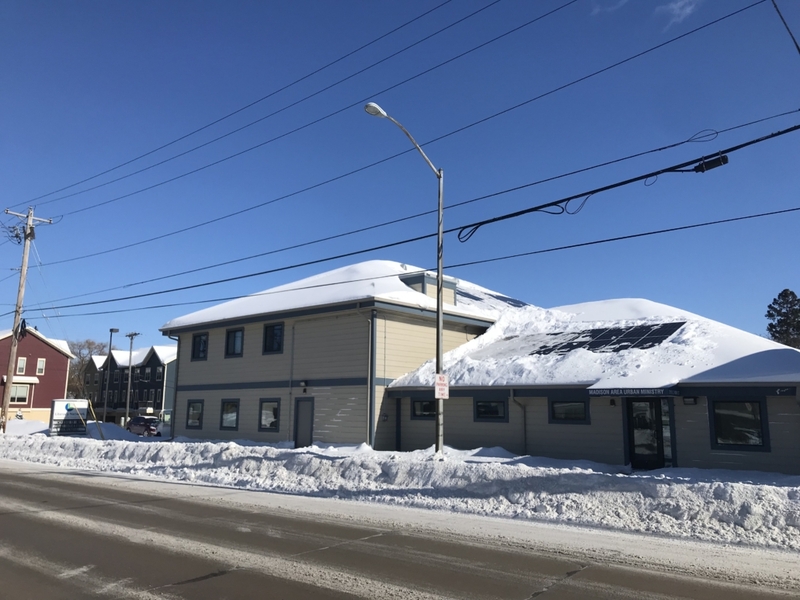 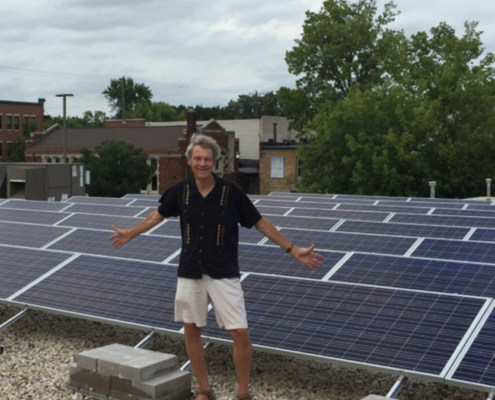 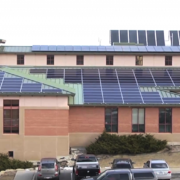 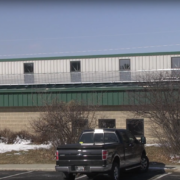 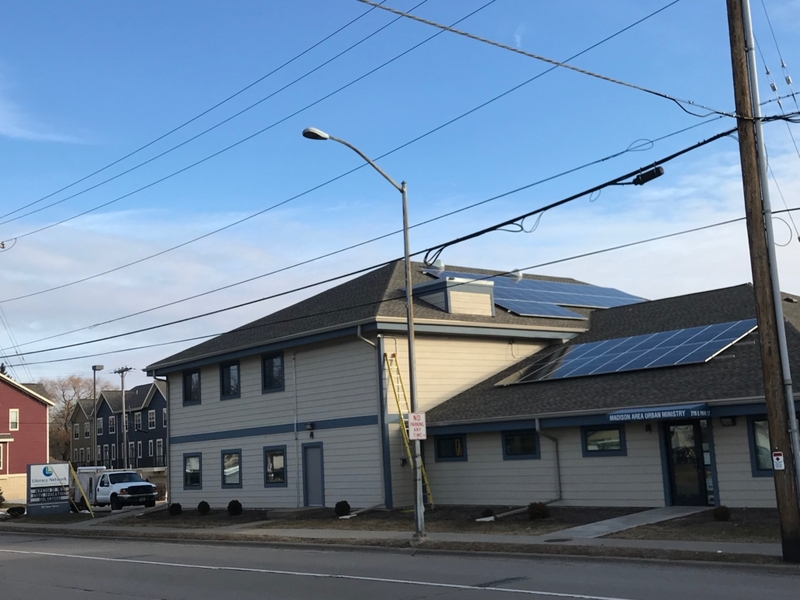 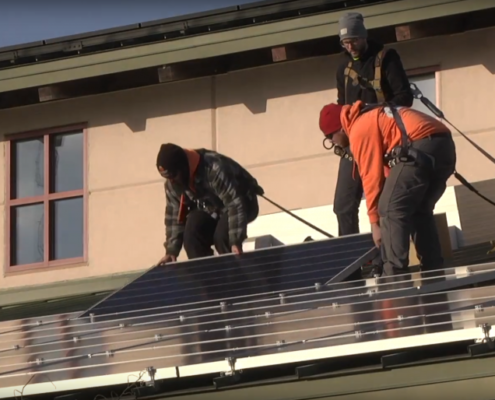 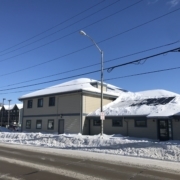 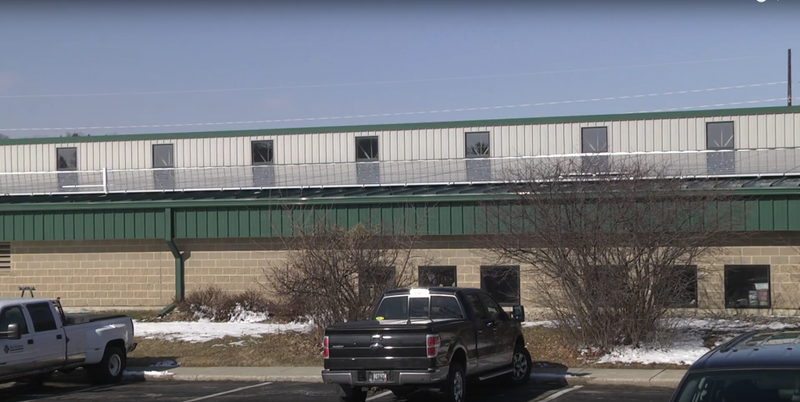 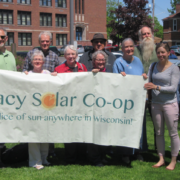 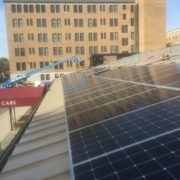 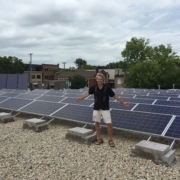 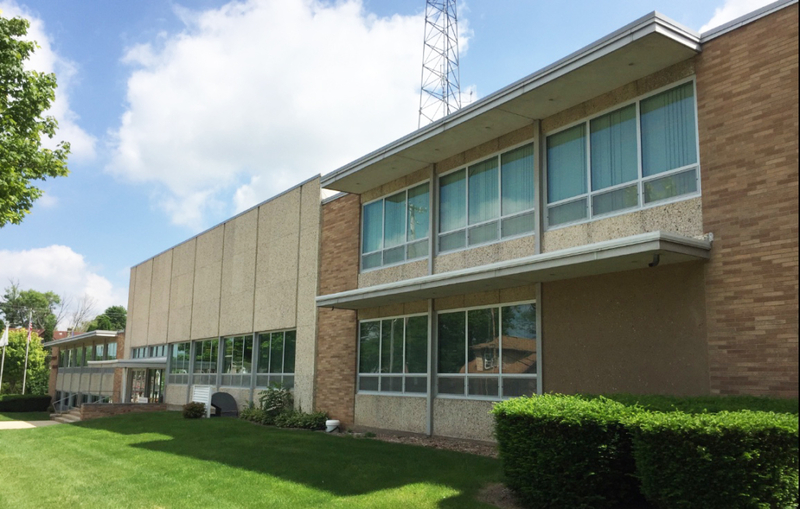 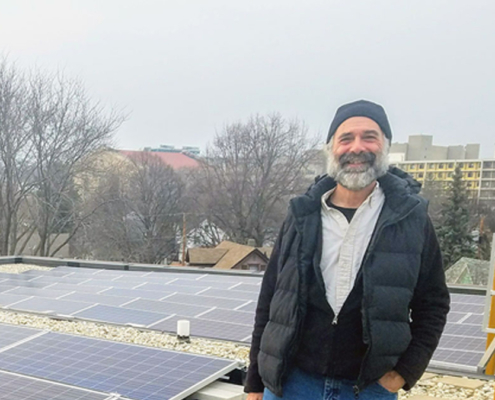 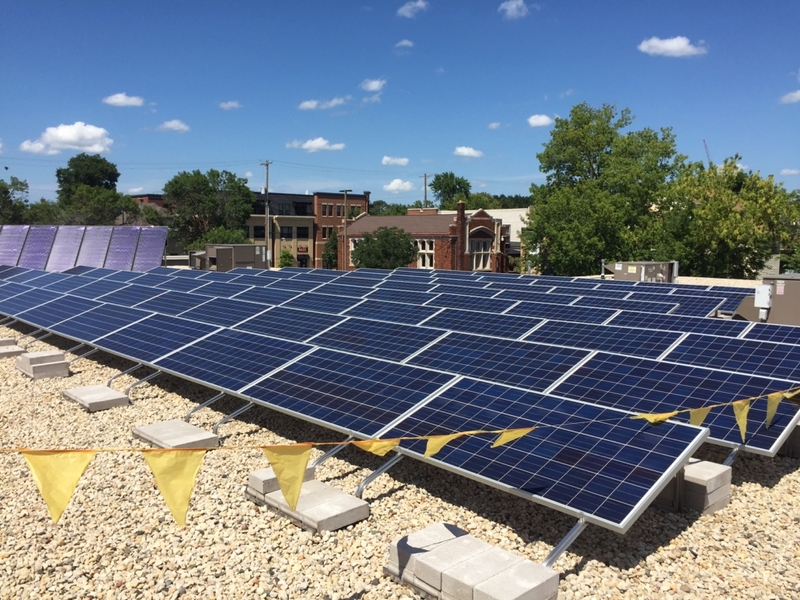 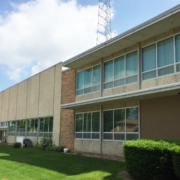 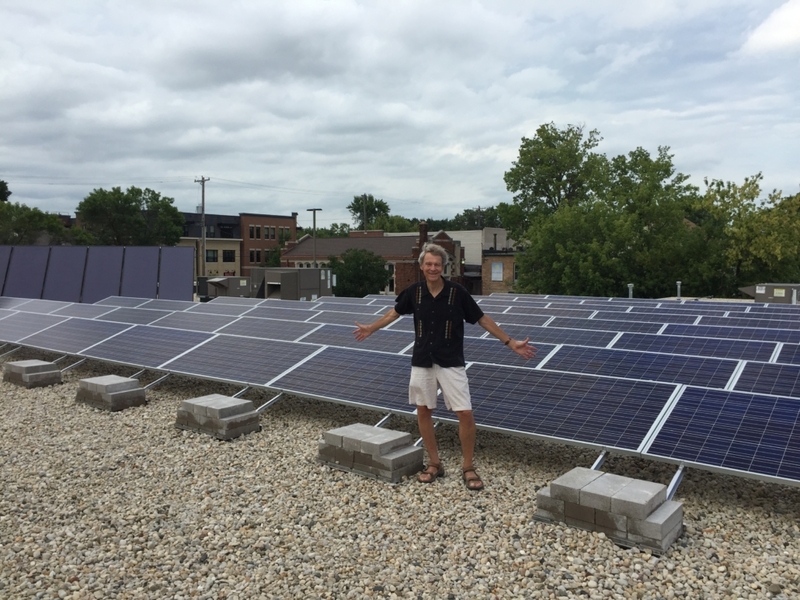 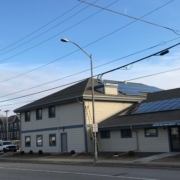 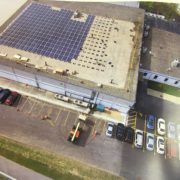 The Union Cab of Madison Cooperative, worked owned and operated since 1979, approached Legacy Solar Co-op about adding 20 kilowatts of solar capacity to their main administration building, at 2458 Pennsylvania Avenue, on the east side of Madison. 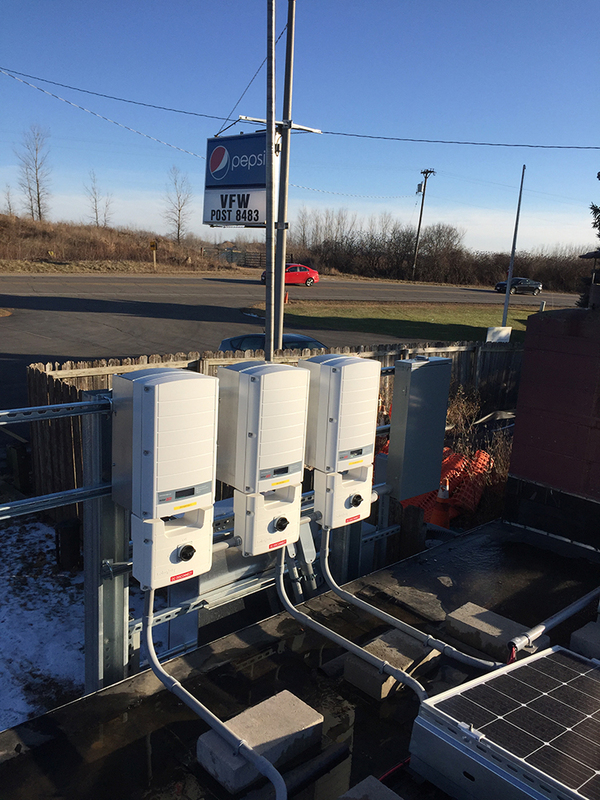 They had previously installed a 5 kilowatt system on their mechanics shop in 2012. 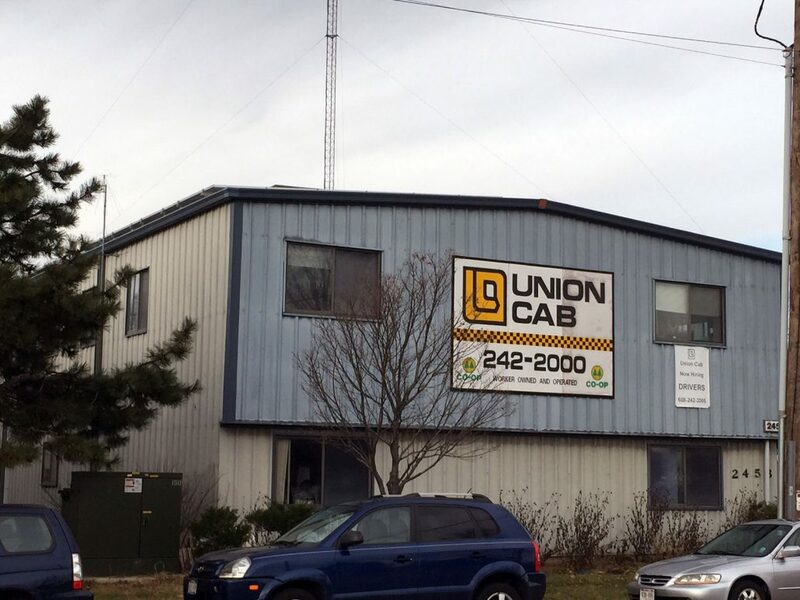 By adding capacity, Union Cab was catering to Co-op Core Value #7, a dedication to operating their business in an environmentally responsible way. 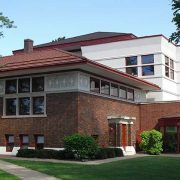 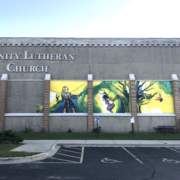 LSC Member Zion Lutheran Church is located one the east side of Madison in the Atwood-Starkweather creek neighborhood, near Schenks corners. 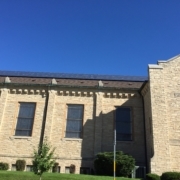 The Legacy Solar Co-op helped provide technical support and set up project financing for the church. 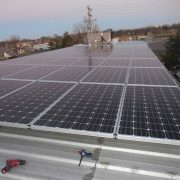 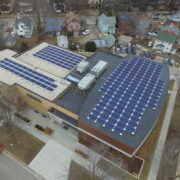 The solar and energy efficiency project was completed in January of 2015 by Solar Connections and Sustainable Solar’s Lincoln Tice. 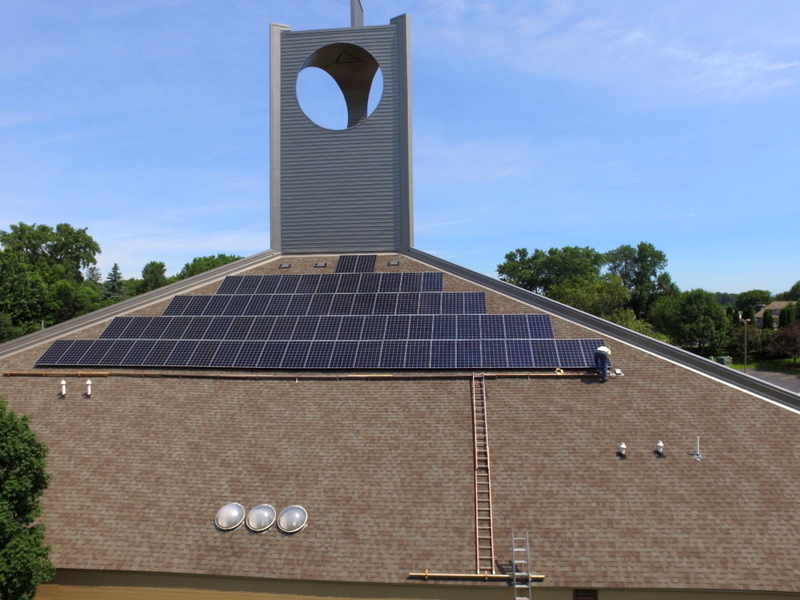 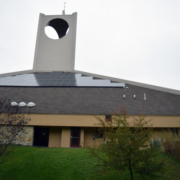 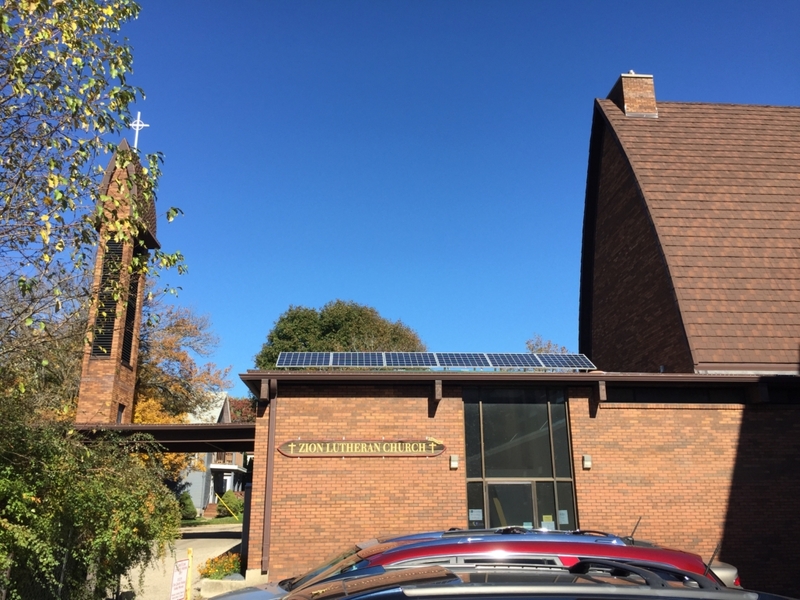 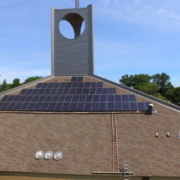 Legacy Solar Co-op and Trinity Lutheran Church started working together on solar and LED energy savings in 2014. 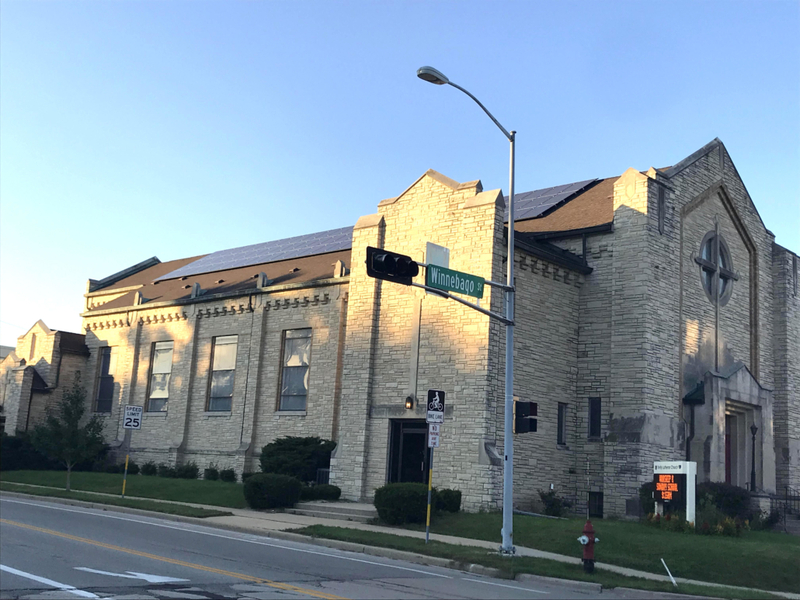 Panels were installed on the south facing roof of this beautiful limestone church located on the corner of 1st Street and Winnebago in the Atwood neighborhood of Madison’s east side. 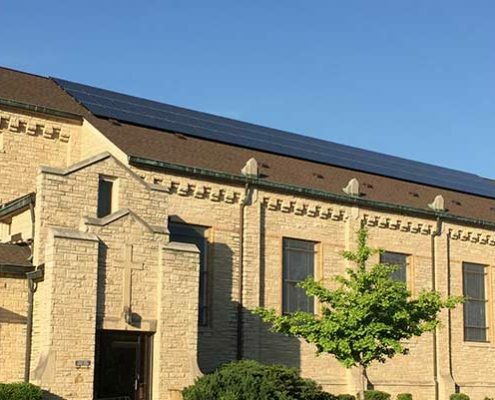 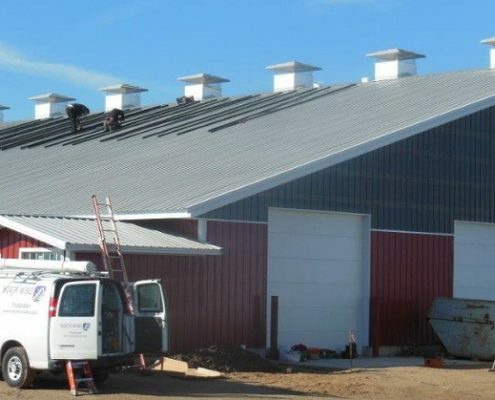 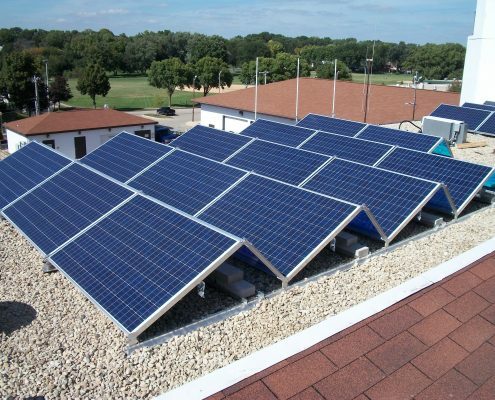 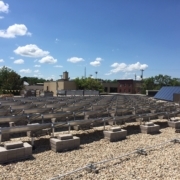 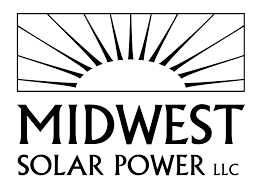 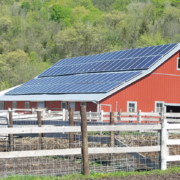 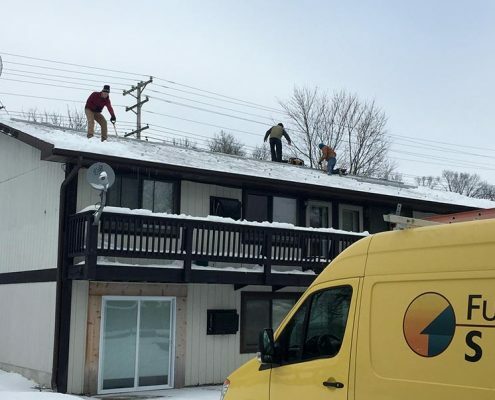 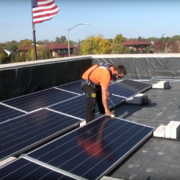 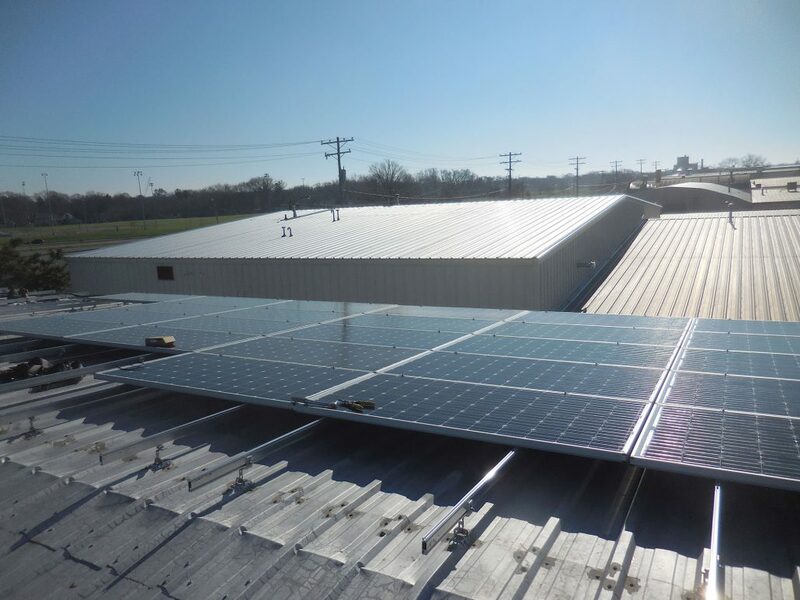 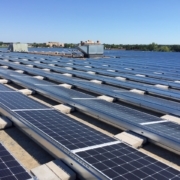 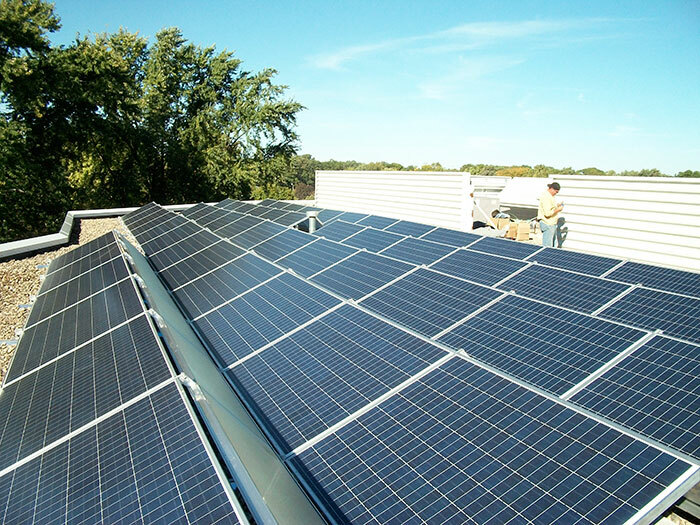 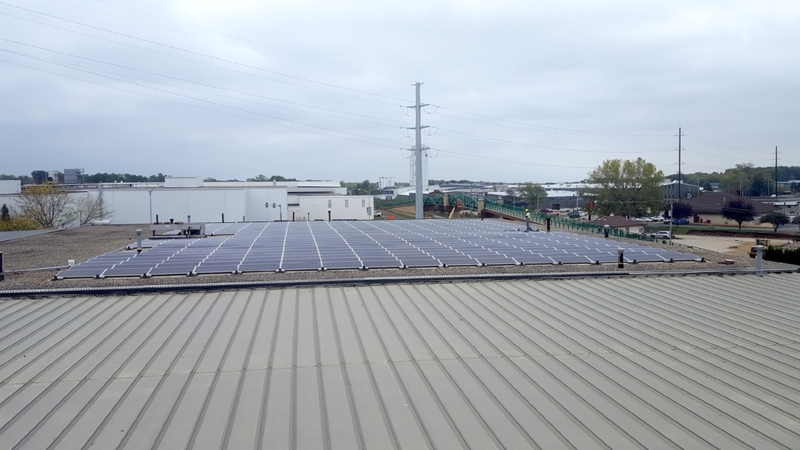 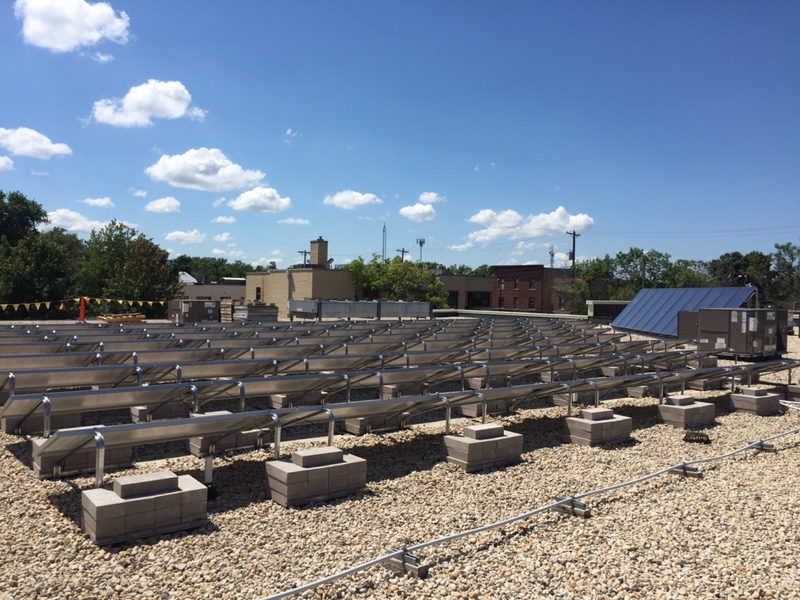 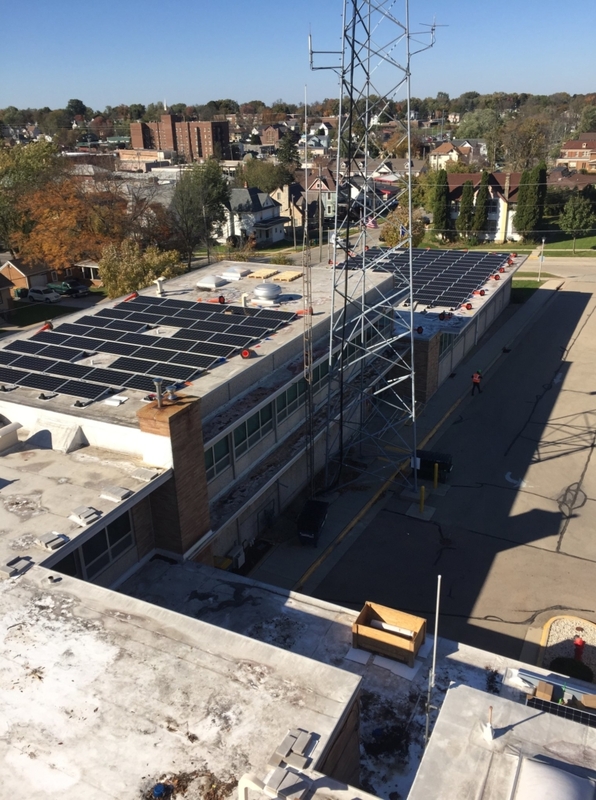 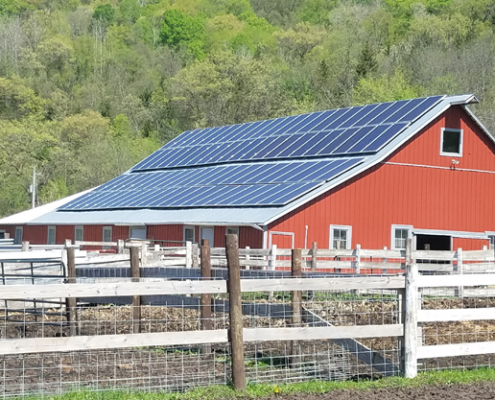 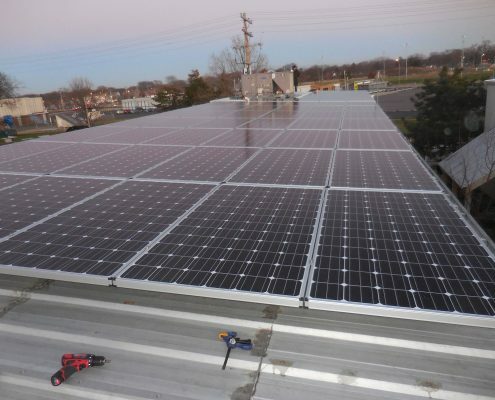 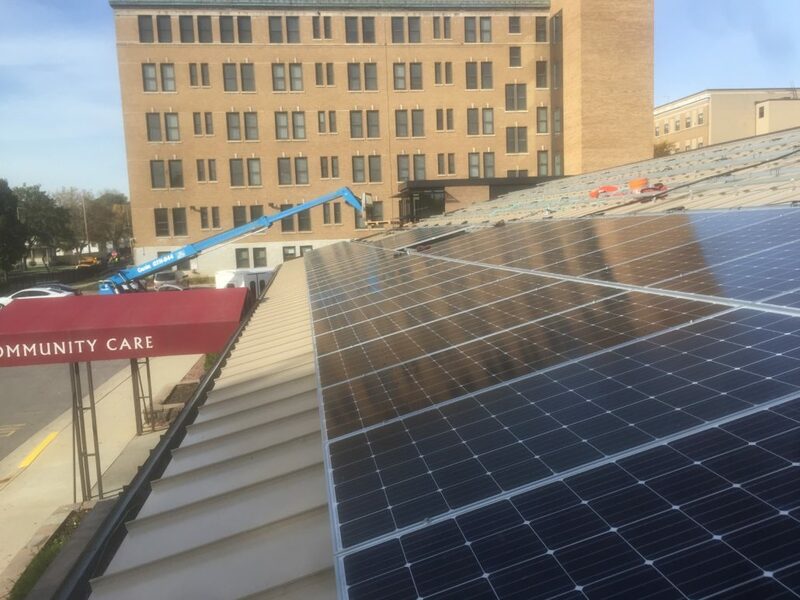 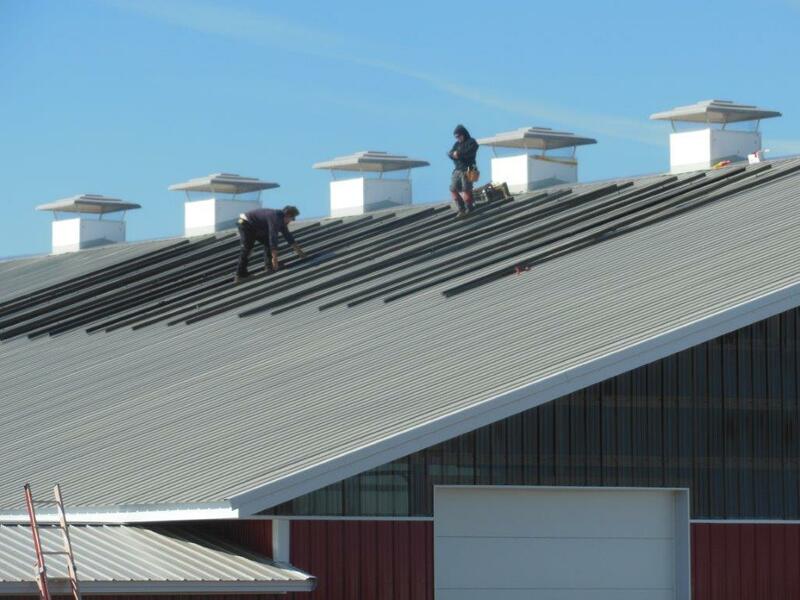 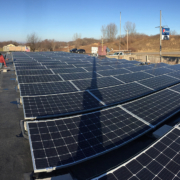 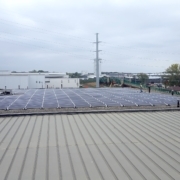 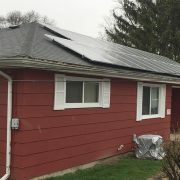 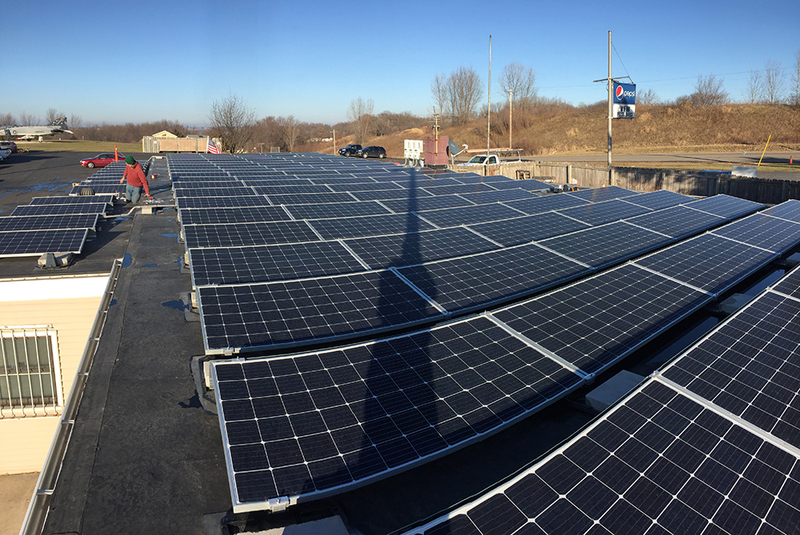 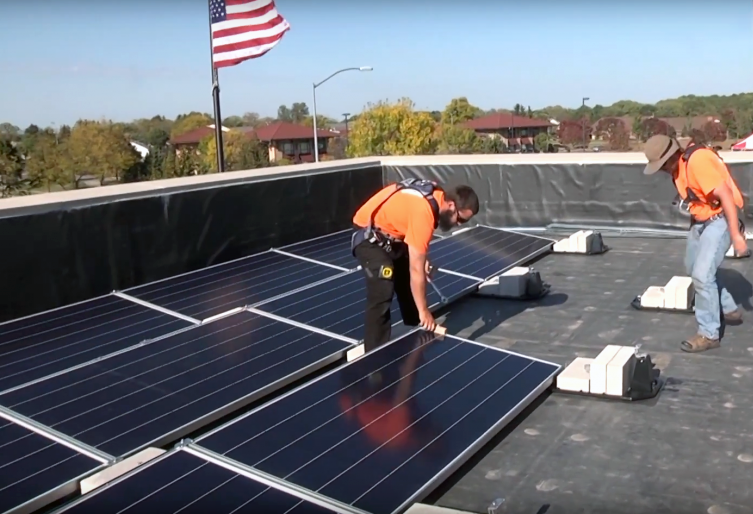 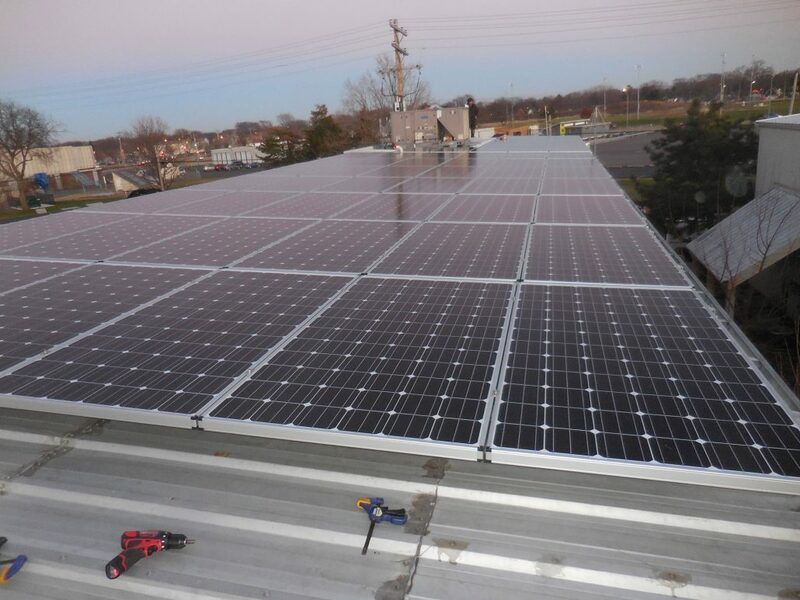 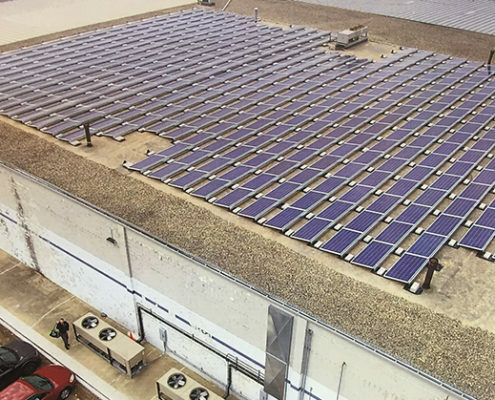 The City of Monona, in south-central Wisconsin, was the first to take advantage of Solar Connections’ Solar Services Agreement, which will yield 10’s of thousands of dollars in reduced operational expense for the City in the first several years of this program. 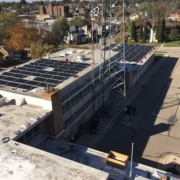 After year 6, the City has the option to buy out the assets at a depreciated value, and own 100% of the system for the remaining 19 years of the equipment’s 25 year warranty. 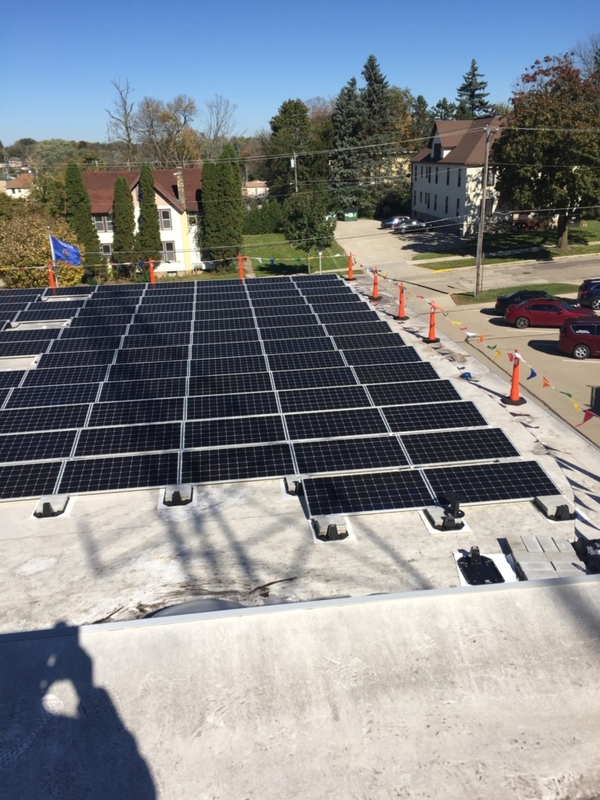 Monona sees this as the least expensive way to go beyond energy efficiency and actually make positive progress toward their 25 by 2025 Energy Independence sustainability goal.